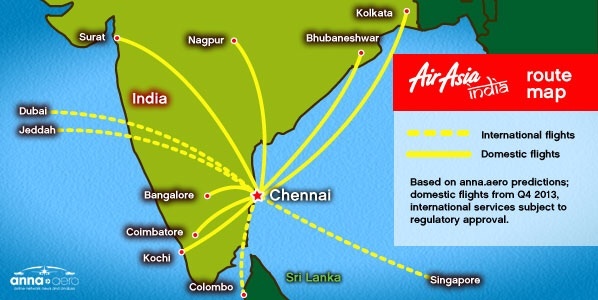 AirAsia got the wrong map of India! Not this map. This was the earlier map for the publicity stunt in 2013. NEW DELHI: The aviation regulator has asked low cost carrier AirAsia India Pvt Ltd (AAIPL) to immediately withdraw all its inflight magazines for wrongly depicting the map of India. The directorate general of civil aviation (DGCA) had asked the LCC to withdraw the magazine, Travel3sixty, from all its flights by 5pm on Thursday and also remove it from its website. The airline was asked to submit a compliance report and was warned that failure to do so could lead to action including stopping its flights. The above report was taken from HERE. Previous Delisitng MAS Another Exercise of “Bina Tak Boleh Fikir”? Padan muka to the pariah! He gets away with all his nonsense in Malaysia but not in other countries. I hope that the authorities here will also show him some colour one of these days. Of course, don’t expect any thing from Khazanah as long as Azman Mokhtar is the MD. Azman Mokhtar has to go. He screwed MAS big time in the last 10 years. I don’t think we can get it too wrong even if put an idiot to replace Azman Mokhtar at Khazanah. Any decision by Khazanah now on MUST be reviewed by the Parliament. Those guys probably graduated from Cambridge or Oxford but there DO NOT understand business. They ran their businesses from the ivory tower in KLCC. Get rid Azman Mokhtar now!!!! My foot the low caste is flying to Delhi and Dubai as shown in the map. It is very typical of the pariah to spin in the hope that the world will believe him. Unfortunately only the “BinaFikir without Otak” idiots in Khazanah like TS Azman Mokhtar and Rashdan, the budak Tingkat Empat boys, will believe the pariah. Singapork is on the map but not Kuala Lumpur. WTF!! !